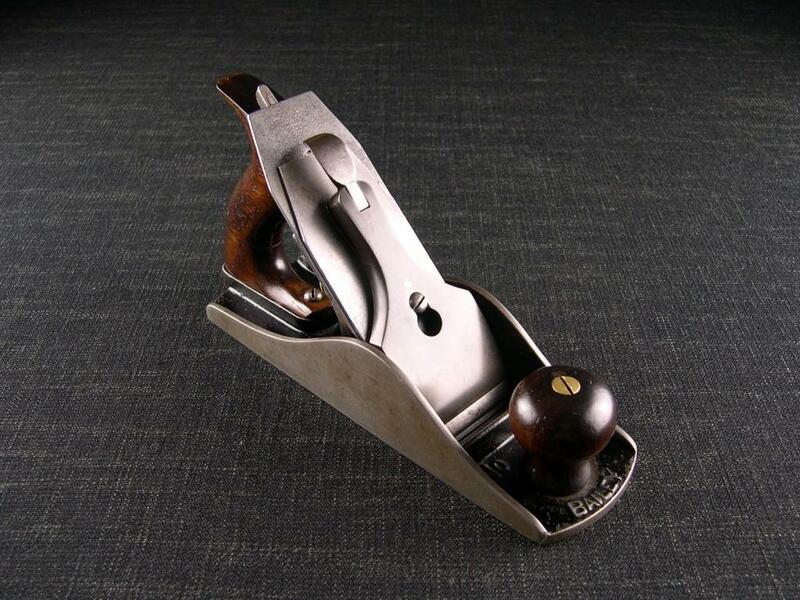 One of those Stanley rarities, the Stanley 4 1/2H heavy smoothing plane. 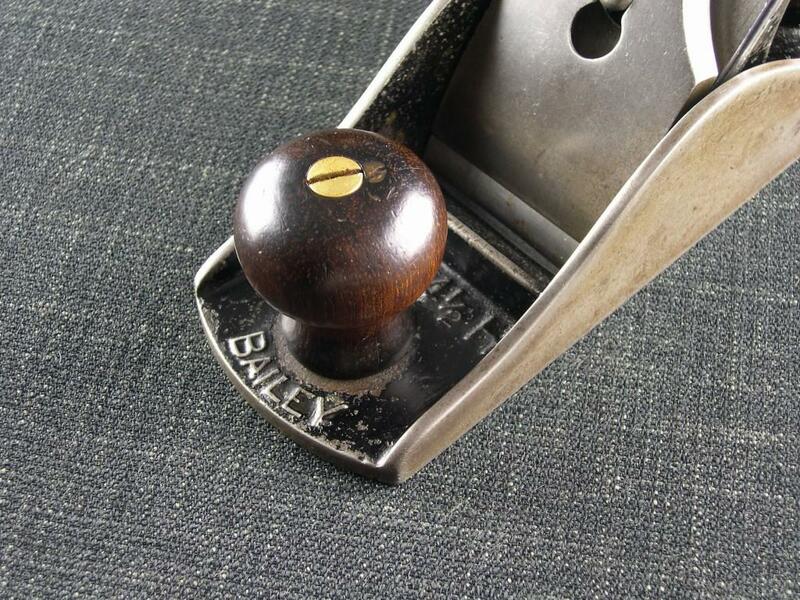 Although all examples were made in the USA apparently they were never listed in a Stanley catalogue nor sold in the US. The 4 1/2H and the larger 5 1/2H were offered in the UK and Australia between 1902 – 1924, hence this is where the majority of the planes have surfaced. The general consensus of opinion is that the heavy planes were produced to compete with the English and Scottish infill planes by Norris, Spiers etc. popular at the time. This example weighs 5 pounds so it can certainly compete on weight. The castings are much thicker on the sole and sides, so much so that a normal 4 1/2 frog will not fit. 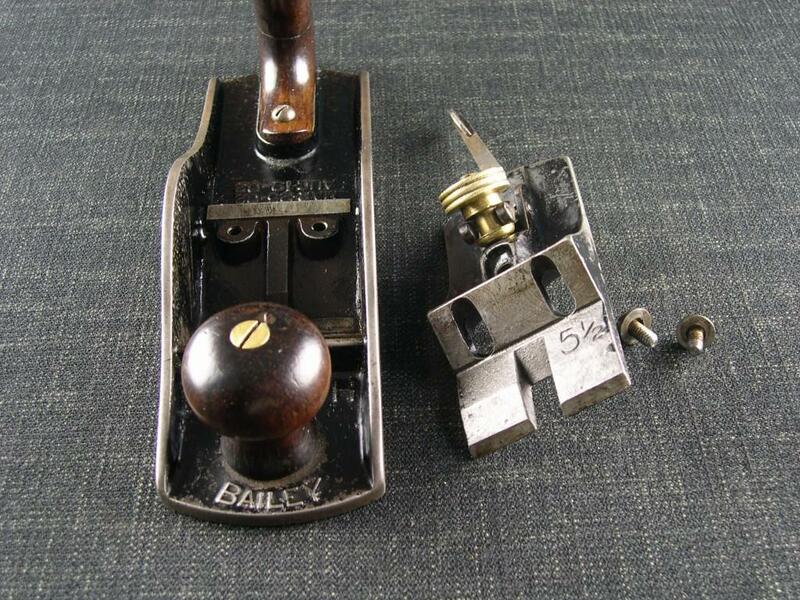 The frog on this example is marked 5 1/2 which indicates that Stanley used the narrower frog from the early (pre-1939) 5 1/2 jack plane. The blade is also a narrower size at 2.1/4 inches. 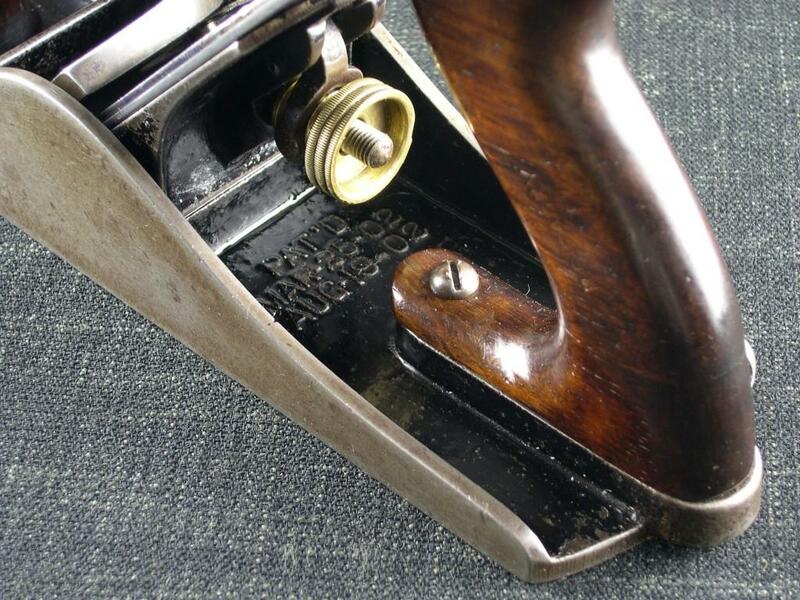 Some 4 1/2 planes produced during WW11 are also of a thicker casting than others but these are not marked with the ‘H’. 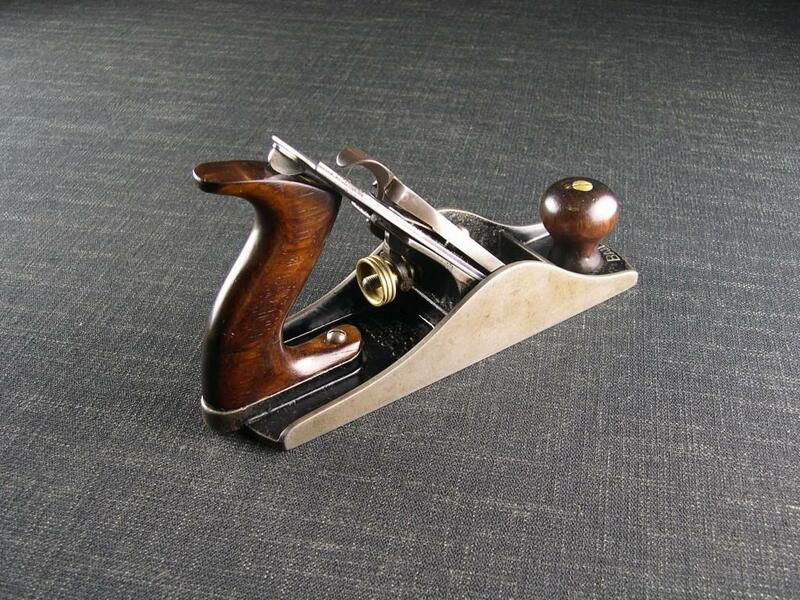 Due to the patent dates, rosewood handles, lateral lever, no frog adjuster etc. this one is believed to be a type 9, circa 1902-1907. This makes it one of the earliest 4 1/2H models to be produced. A rare and much sought after plane on both sides of the Atlantic.